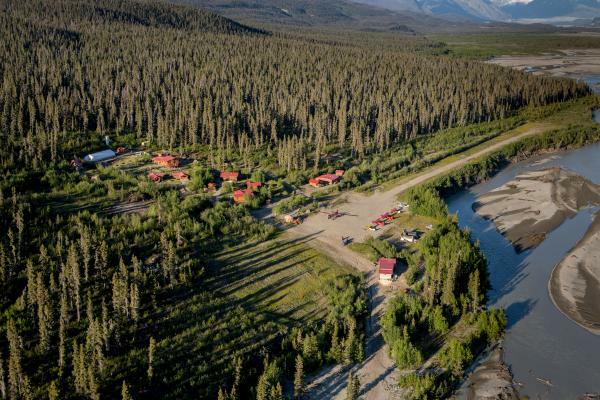 Ultima Thule Lodge combines the wild adventure of an Alaska wilderness lodge with all the creature comforts expected with high-end hotels. 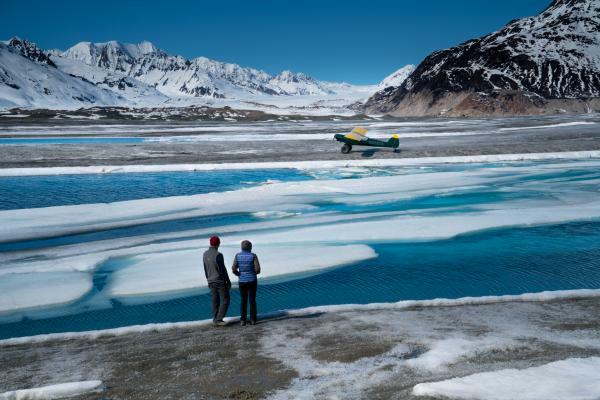 Add in the daily plane safari adventures and the customized experiences for groups of just two people, and you will find yourself feeling like family at this remote Alaska lodge. Experience the beauty of Wrangell - St. Elias National Park with small group flight-seeing, hiking, kayaking and other adventures each day. Giests are able to customize activities to suit your preference and skill level. Retreat each evening to gourmet meals of fresh local ingredients and relax after a day of exploring. Ultima Thule Lodge keeps groups small and guests to a maximum of 12. 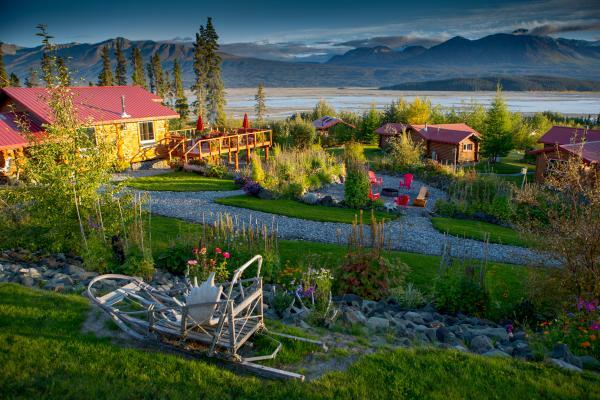 Enjoy a truly unique and intimate Alaska adventure with the Claus family at Ultima Thule Lodge. 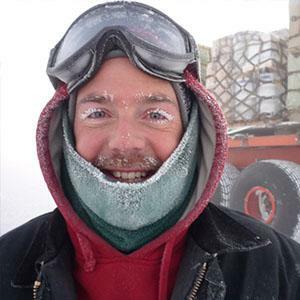 The flight shuttle in McCarthy will pick you up at 4:00 PM for the transfer to Ultime Thule Lodge. 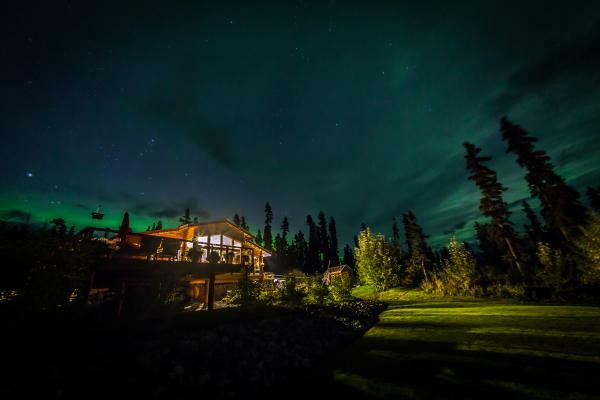 This remote lodge is located 100 miles from the nearest road near Wrangell - St. Elias National Park, one of the world's largest tracts of untouched wilderness. Touch down and get a glimpse of your remote Alaska surroundings. Each of the lodge's private cabins overlooks the meandering braids of the Chitina River. Spend this evening in the main lodge, enjoying your first taste of the freshly prepared gourmet Alaskan cuisine. Rise each morning and make your way to the grand room to discuss the plans for the day's adventures with your guide. Daily options can be customized depending on the weather conditions and your own preferences, interests, and skill level. Split up your larger group if you wish to accommodate all varying interests. 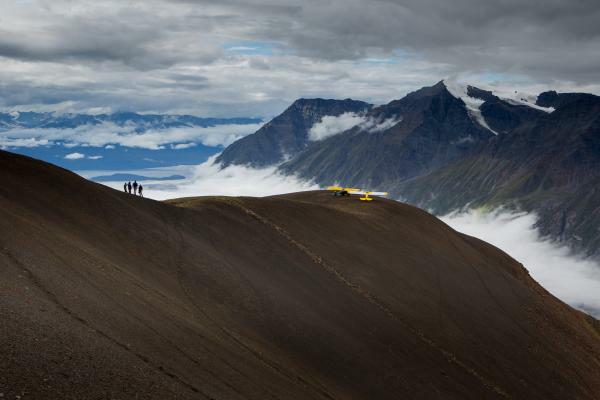 Private adventuring in groups as small as two is included in your stay at Ultima Thule Lodge. The Wrangell Mountains are notorious for their difficulty to navigate on foot, even for experienced hikers in the summer. 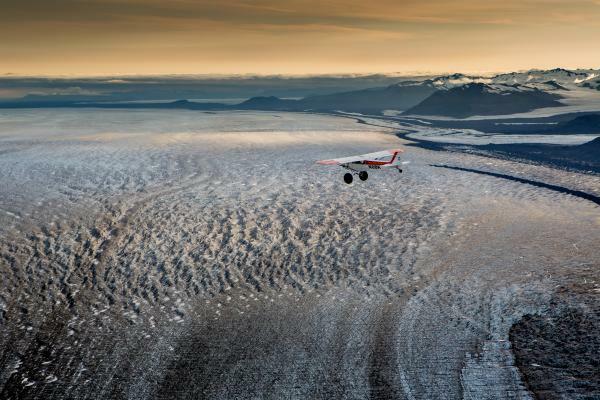 Enjoy the private access you have to these untouched lands within the lodge planes that transport you tp the middle of some of the most breathtaking landscapes on the planet. 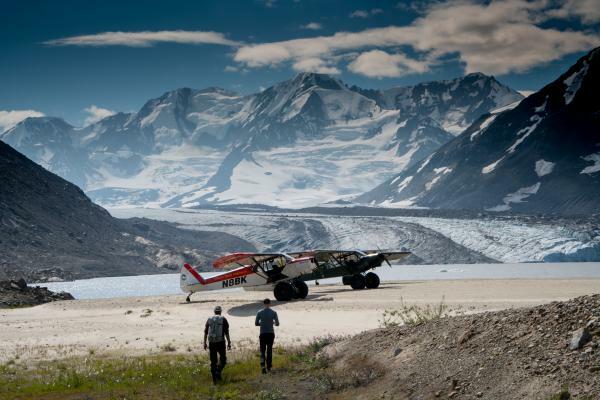 Adventure options at Ultima Thule include flight-seeing, glacier exploration, sledding, photography, beachcombing, fishing, bear-viewing, rafting, and hiking in a variety of habitats. Downhill skiing and snowboarding in untouched powder can sometimes be arranged in spring months. Spend your days exploring this pristine Alaska wilderness before retreating at the end of the day for some delicious food and needed rest. 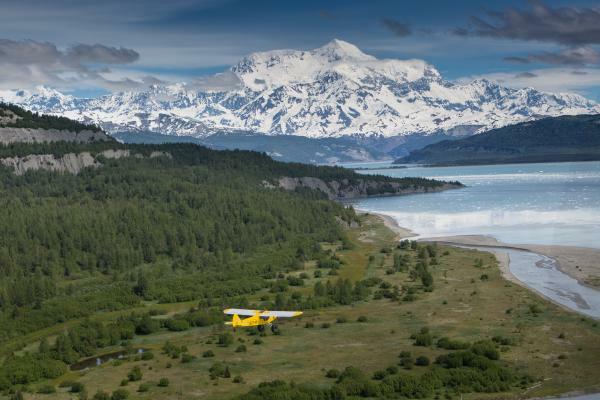 Today you set out on your final flight safari adventure, enjoying lunch in the field before returning to McCarthy around 3:30 PM to connect with your flight back to Anchorage. Travelers may choose to add some time in McCarthy or Kennicott as you prefer. Trip insurance is strongly recommended for this itinerary. Charter flights to McCarthy from Anchorage, Denali, Fairbanks, Seward and other nearby cities are available for this tour, please inquire. A liability release waiver is mandatory to sign upon arrival to the lodge. Pickup in McCarthy. Contact us for arrangements from other cities. Dropoff in McCarthy. Contact us for rates for dropoff to other cities. Any specialty equipment for adventures is provided. House wine and beer are complementary. Other specific alcohol requests must be made in advance of your trip and may have additional cost. Special activity requests (such as camping) must be arranged in advance and may have an additional fee. Initial deposit is 55%, and most travelers will call our office and pay the deposit with a credit card. Alternatively, you can register online here. Final payment is due 130 days prior to departure by bank transfer, check, or credit card. Deposit payments and final payments may be subject to a surcharge and a maximum charge of $20,000.